Click the link below to download the latest compiled Arduino hex code (Currently version 2.40). Get Code (you will need to unzip the code before you can upload it to your Arduino). Note: if you are using an RGB (colour) LCD display you should connect pin D4 on the Arduino to ground (GND), otherwise leave D4 floating if using a mono LCD display. The code checks this pin at power-up and will use the colour features of the display, if it finds one, to highlight the different operating modes of the EchoTapper unit. To upload this code to your Arduino you need a suitable uploader. Update 20/10/2013: I previously recommended the Arduino Uno Uploader tool but it seems to no longer work so now please use XLoader which can be downloaded here. By using this tool you don’t need to know how to compile source code, just connect the USB port on your EchoTapper’s Arduino UNO to your Windows PC and use the tool to upload the hex code to the Uno. The Uno will automatically reset and start running the new code. You can check it worked by looking at the version number given in the start-up message. This entry was posted in Download, Firmware, Software on July 16, 2013 by guitarphil. 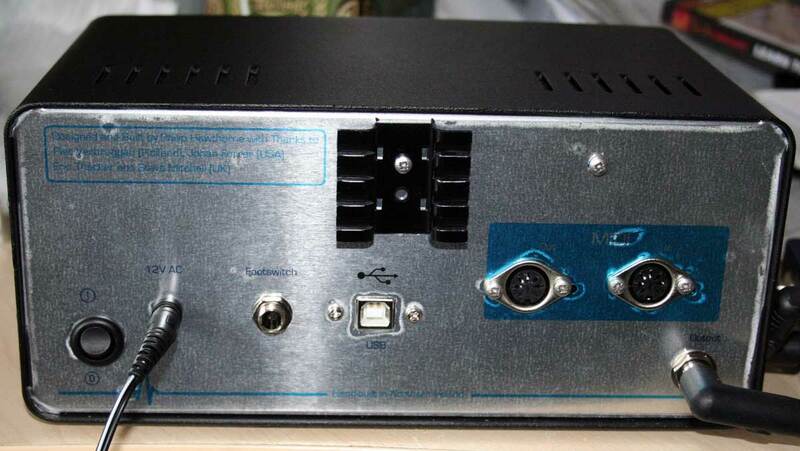 Includes support for the hardware built with a rotary encoder. This entry was posted in Hardware, User Guide and tagged User Guide, User Manual on July 16, 2013 by guitarphil. Building instructions for the MIDI + EEPROM Shield as used in my EchoTapper Valve Unit. This entry was posted in Hardware, MIDI and tagged Building Instructions, MIDI on July 16, 2013 by guitarphil. … is in the testing. 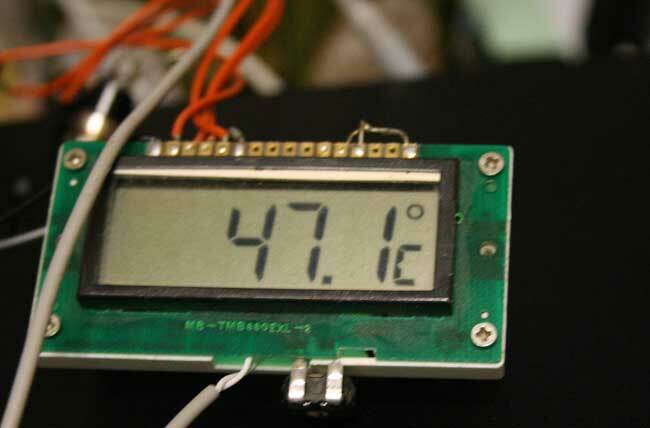 While searching for something else altogether I came across and old digital thermometer project that I never finished. It was to control the heater for my hot water tank 😉 but it would be handy to check my heat sink temperature. As you can see below, after being on for 20-30 minutes the temperature settled around 47-48 C.
This entry was posted in Audio, Hardware and tagged Temperature on July 5, 2013 by guitarphil. Despite mounting the 6V regulator (which feeds the valve heaters) on the rear aluminium panel, I felt it was still getting a little hotter than I would like so I mounted a finned heat-sink to the panel and that seems to help the cooling quite a bit. If you are going to do this, make sure you remove the area of the vinyl label under the heat-sink to improve the thermal conduction. This entry was posted in Hardware and tagged Cooling, Heat-sink, power supply, regulator on July 1, 2013 by guitarphil.